From I-81 take exit 307 (Va. 277 or Fairfax Pike) toward Stephens City. Turn right on Main Street (U.S. Rt. 11). Drive half a block and the Newtown Counseling building is on the right. 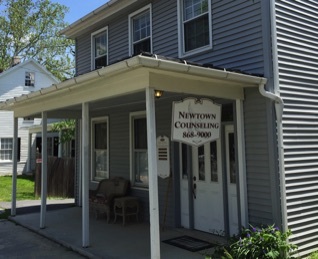 Selove Professional Counseling and Consulting is conveniently located in Stephens City, VA in the Newtown Counseling building (only 8 miles from Winchester, VA). It is easy to get to, right off of Interstate 81 exit 307. Free parking is available on the street closeby. Copyright © 2018 by Ramon and Shellie Selove. All rights reserved.